Given uncertain market conditions, electronic firms that outsource production to suppliers face a trade-off between revealing too much about their quantity decisions to competitors, thereby losing profits to well-informed second movers, and revealing too little, thus failing to signal quantity commitments. In full disclosure (FD) and non-disclosure (ND) scenarios, the relative informedness of the second mover and the supplier’s incentive to keep information confidential play a large role in the effectiveness and profitability of information concealment. Steve Jobs announced the new iPhone at the MacWorld convention on January 9, 2007. However, it was only released months later on June 29, 2007. By the time the product was launched, Nokia and LG (KE850) had come up with their own prototypes, which had features eerily similar to the iPhone. A company known to keep its secrets close to its heart had revealed its product launch months in advance to huge media attention, thus exposing its product as well as its manufacturing component details to its competitors, such as Nokia and LG. Why was this a risk? In the electronics manufacturing industry, it is quite common for firms to outsource the manufacturing of specialised components to other suppliers. Inherent in such outsourcing decisions is an important trade off: though outsourcing provides the firm an opportunity to concentrate on its competencies while also enjoying efficiencies created by its suppliers, it also increases the likelihood that information about the demand faced by the firm will leak to its competitors. To minimise the possibility of information leakage, firms often implement confidentiality agreements that impose legal consequences on the supplier if it leaks confidential information about the focal firm to its competitors. However, confidentiality agreements may not always be effective for two reasons. First, although it may prevent the possibility of suppliers directly imparting information to competitors (‘direct leakage’), it may not prevent ‘indirect leakage’ – the possibility of competitors guessing the demand faced by the firm based on how suppliers use information that they acquire from the firm. Second, such agreements may limit the ability of the firm to aggressively signal its quantity. Aditya Jain, Assistant Professor at Zicklin School of Business, Baruch College, The City University of New York, and Milind Sohoni, Associate Professor in the Operations Management area at the Indian School of Business examine how, in a two-echelon supply chain, a firm’s incentive to conceal information to prevent both direct and indirect leakage has to be balanced with its competitiveness and even nonconcealment of information in certain cases. Information leakage can occur both directly and indirectly, and it also has a direct and an indirect effect on both the first and second mover. The firm that first places its order for quantities (i.e., the first mover) runs the risk of the supplier leaking quantity decisions to competitors, thus exposing its private demand information. This is the direct effect. The indirect effect of information leakage occurs when the first mover distorts quantity information anticipating that other firms will gather and use this wrong information (i.e., sequential move quantity competition). However, the peril inherent in this move is that a firm signals its ability by making a large and irreversible order. This offensive strategy forces a competitor to order smaller quantities. Distorting quantity information does not guarantee that information is not leaked indirectly, because the strength of a pre-existing relationship between a firm and its supplier can also tilt the scales towards the preferential securing of supplies for one firm. In this article, the authors examine the efficacy of enforcing information concealment, given that firms buy from a common upstream contractor with leakage happening both directly and indirectly. Sohoni and Jain identify two factors that condition the gain or loss of secrecy by first movers: the intensity of competition and the information capacity of the second mover. When the second mover is well informed, the first mover has the option of inflating its order quantity and restricting the second mover, that is, strategic pre-emption. However, when the second mover is poorly informed, horizontal signalling is the preferred strategic choice. This effect is moderated in part by the supplier’s wholesale pricing decisions. For instance, in an ND scenario, it is this wholesale price that signals an indirect leakage of information to competitors (otherwise known as vertical signalling). Thus, for the first mover who is practicing secrecy of information, a well-informed second mover and a highly competitive market will culminate in losses, while a poorly informed second mover will work towards the firm’s advantage. This is because the first mover is unable to set quantity leadership due to information concealment, and because the supplier sets a lower wholesale price for the second mover, which results in further losses to the firm. Given the gamut of strategic management decisions that electronic manufacturing firms, who outsource production, have to make, supplier incentives also need to be taken into consideration. On the one hand, we have information concealment and its resultant disadvantages, both to first movers as well as suppliers, and on the other, we have competition intensity and supplier incentives. The authors weave the supplier’s impetus into this demand and supply scenario. Concealing information reduces profits for suppliers due to the vertical signalling effect. Thus, to make it worth their while, incentives such as side payments and two-part tariff contracts should also be considered to ensure that confidentiality agreements are respected. For supply chain managers, especially in the electronics sector, where specific components are outsourced, the trade-off between maintaining secrecy about quantity capacity and signalling market capacity is an important one. Voluntary and truthful information sharing between competitors is a challenge as one has to maintain a competitive advantage. Thus, managers need to look at alternatives such as partial order placements, disclosure agreements and supplier incentives. Finally, to reveal or not to reveal becomes a critical supply chain management decision given the dynamic market and informed competition. 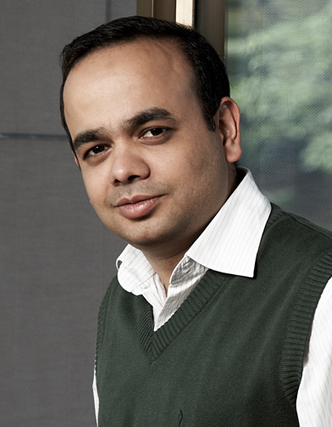 Aditya Jain is an Assistant Professor at Zicklin School of Business, Baruch College, The City University of New York. 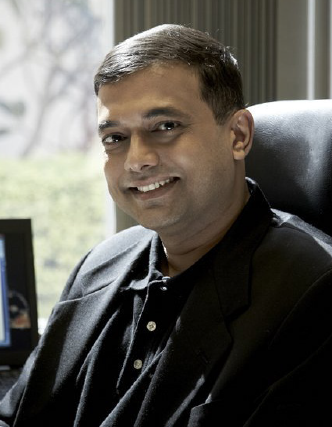 Milind Sohoni is an Associate Professor in the Operations Management area at the Indian School of Business (ISB). Mridula Anand is an independent innovation and IP consultant. She holds a graduate degree from Stanford University and has also completed her Law degree. Assistant Professor at Zicklin School of Business, Baruch College, The City University of New York.